Since I was a young girl, I often found inspiration in the oriental details around our family home. Perhaps that’s where my love for all things floral came from; my mother’s Asian heritage, and the intricate floral accents I would often see on pretty objects around our home such as on the artwork on our walls and the floral patterns on her silk blouses. It was such a delight to work with Sydney bride Zenith to create her custom bridal hair comb for her special day. Zenith was in touch about a hair comb she could wear to finish off her soft waves but wanted to bring in a touch of the orient to pay homage to her heritage. 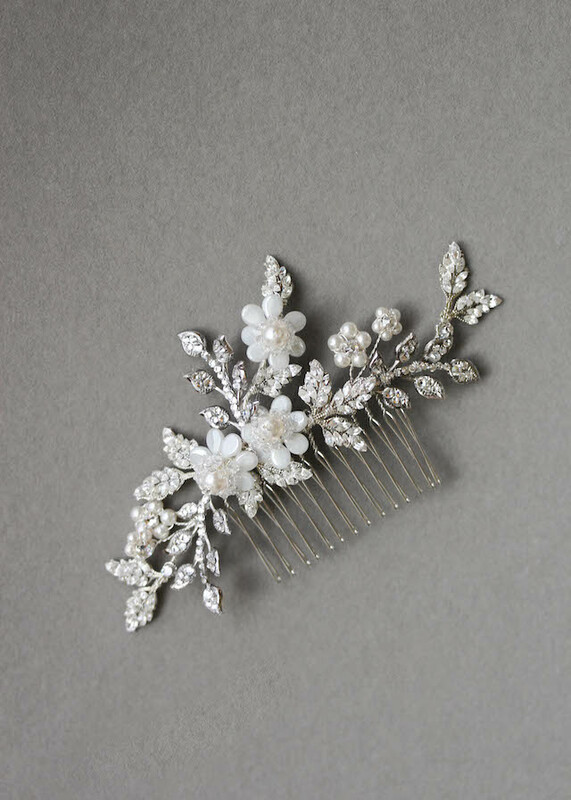 She loved the crystal details from the Evalina bridal hair comb and the way it was placed in the model’s hair, so together we started chatting about how we could use the Evalina as inspiration for her piece. When I think of the orient, I think of exquisite details and floral displays. 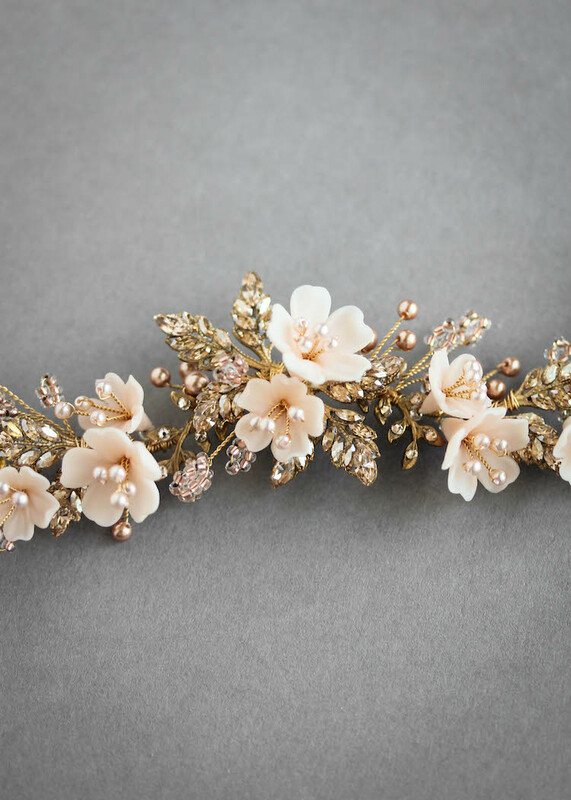 I customised Zenith’s bridal hair comb with handcrafted cherry blossom accents that were finished off with subtle pearl details. I’m beyond thrilled with how this piece evolved into what you see below. I can’t wait to see Zenith steal the show in this sparkling piece! If you love this piece and would love to chat about a custom piece just for you, please get in touch. I’d love to work with you to bring your vision to life!